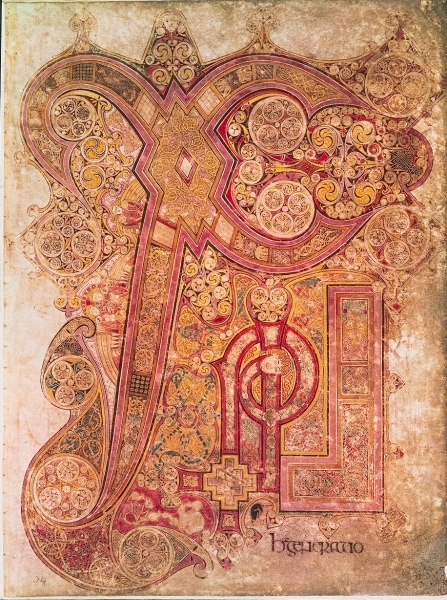 Home » Posts tagged "Lindisfarne"
Thanks to the lovely film The Secret of Kells , large numbers of people who have never taken an art history class or studied paleography now know about The Book Of Kells. For those who haven’t seen the film, go now and watch it. 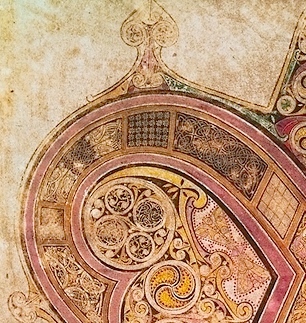 The Book of Kells is a medieval manuscript created by monastics in the ninth century, and presently resides in Trinity College Library, in Dublin. It’s a beautifully illuminated version of the four Gospels (Matthew, Mark, Luke and John) with the customary additions like the canon tables. F. 34R is referred to as the Chi Rho page because it features the Greek letters Chi, Rho and Iota. The letters that look like XPI that form the primary page elements are respectively, the Chi, the Rho, and the Iota. These three letters are used as the abbreviated form of Christ’s name in Greek, and open that passage from Matthew in Latin. If you look closely at the image, you’ll see some of the “hidden” images that Kells is so famous for. There’s a cat with rats that seems to be playing with (or eating) a mass wafer. There are moths (symbols of rebirth and rejuvenation) and several winged figures. My favorite is the otter holding a fish (the otter is lying on his back; look for the fish he holds). 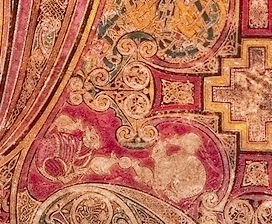 If you look at the image of F. 34R, you can see the generatio at the bottom right. produced in England sometime between c. 715 and 720. 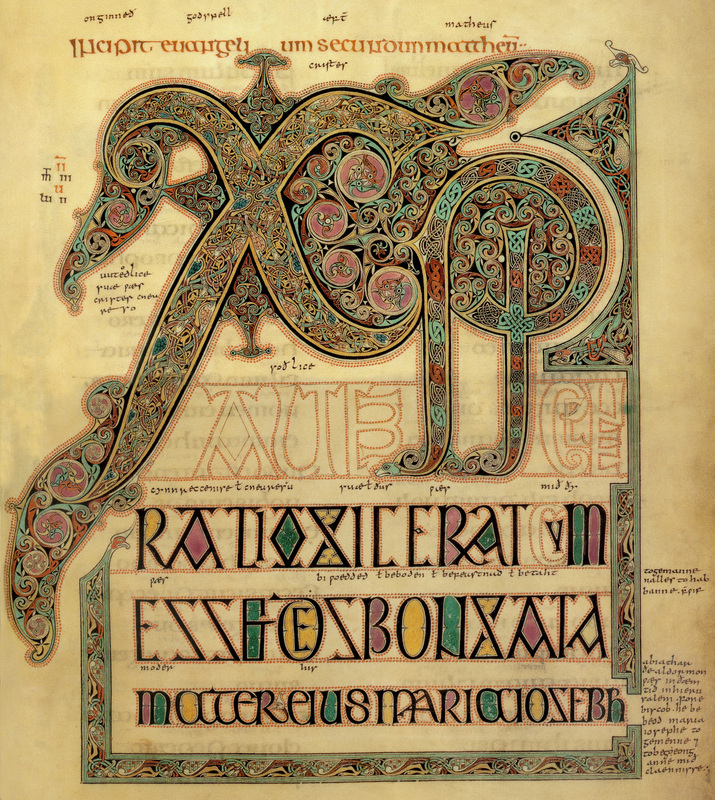 The Book of Lindisfarne is in the British library now. It’s the beginning of the same verse in Matthew as the Kells Chi-Rho page. You can still see the Chi and the Rho, very clearly. You can click the image for a larger view, or see the entire incredible manuscript in a digital facsimile here; it uses the Silverlight plugin form Microsoft. There’s a collection of high quality images here.